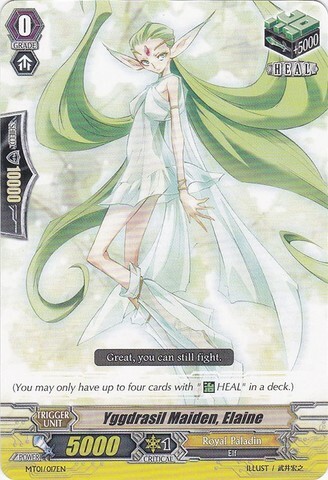 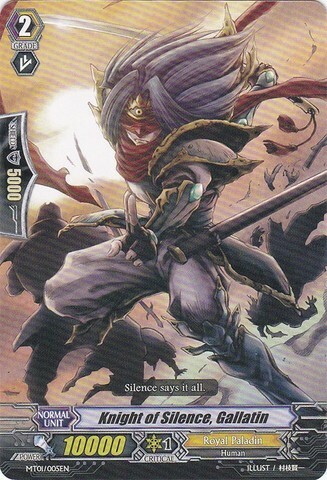 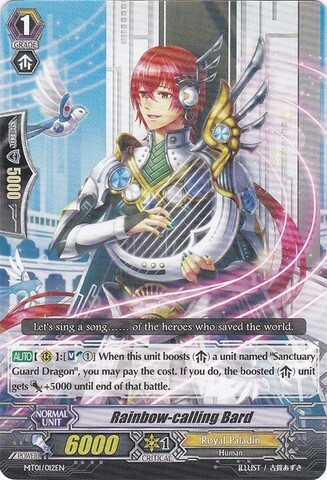 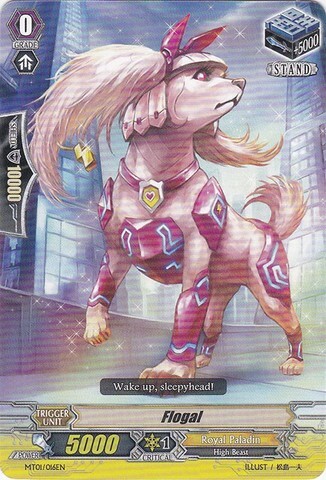 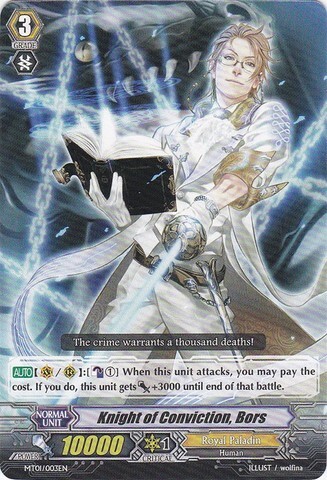 Card Effect: [AUTO](VC) Limit Break 4 (This ability is active if you have four or more damage):When this unit attacks a vanguard, this unit gets [Power]+5000 until end of that battle. 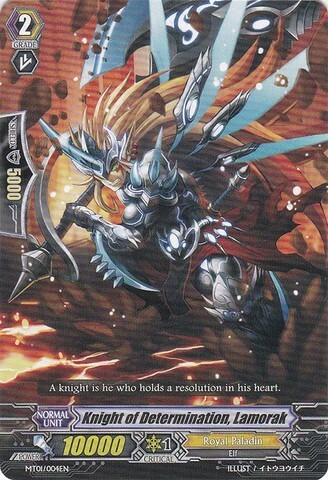 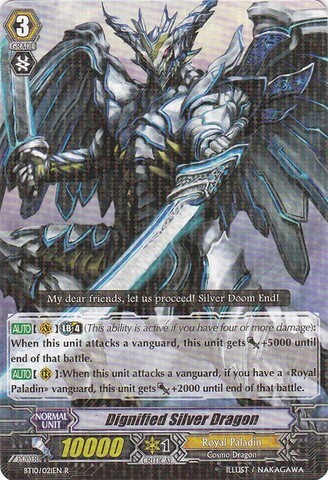 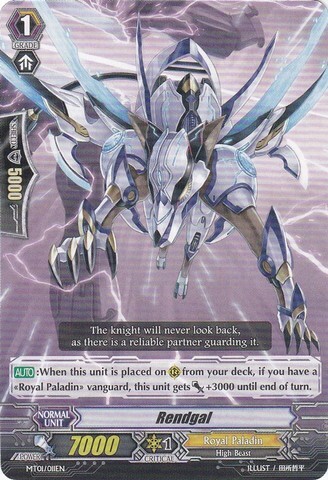 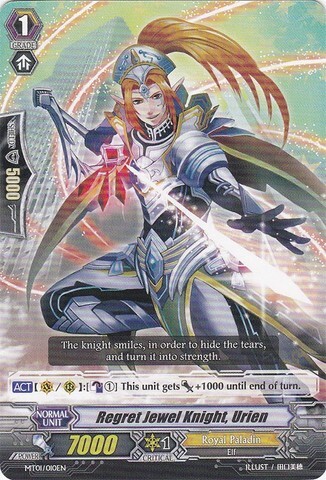 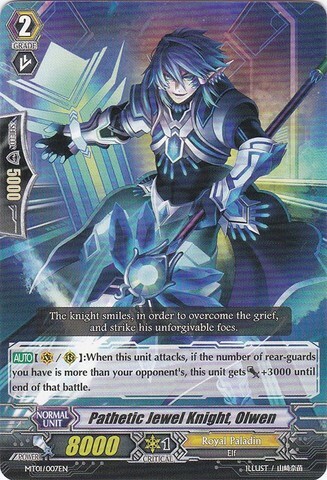 Card Effect: [CONT](VC) Limit Break 4 (This ability is active if you have four or more damage):During your turn, this unit gets [Power]+3000 for each of your grade 1 or less Royal Paladin rear-guards. 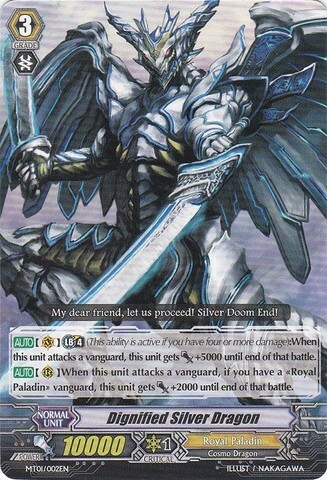 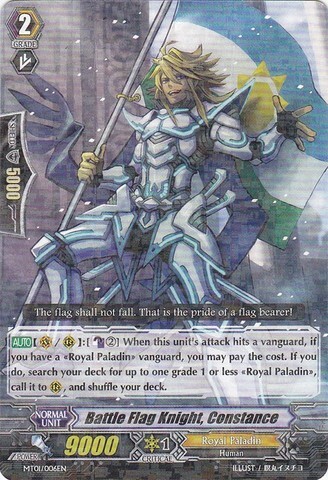 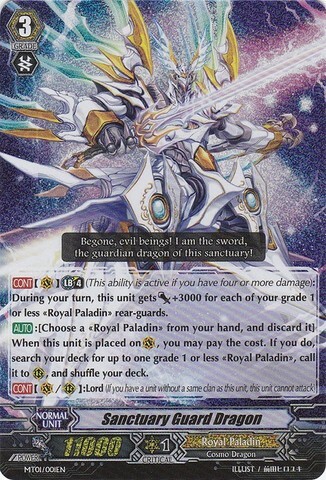 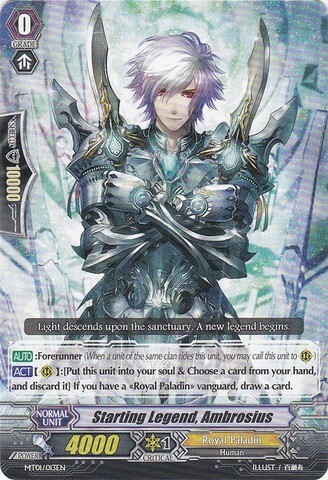 [AUTO]:[Choose a Royal Paladin from your hand, and discard it] When this unit placed on (VC), you may pay the cost. 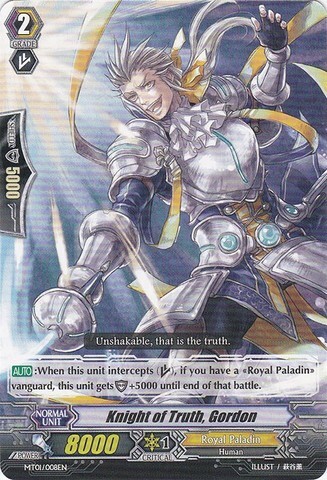 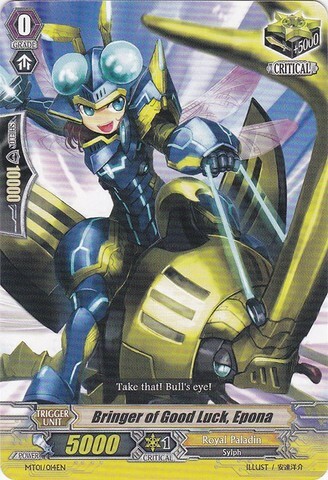 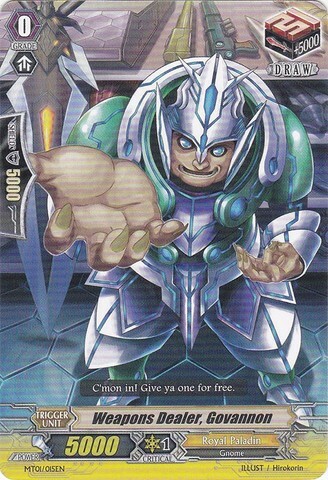 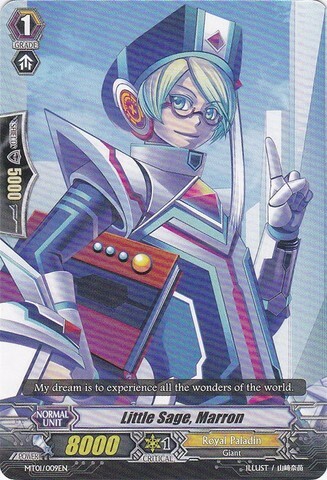 If you do, search your deck for up to one grade 1 or less Royal Paladin, call it to (RC), and shuffle your deck.